Length: Approx. 70 cm. High speed USB 2.0 A to Mini B 5-pin cable. Foil and Braid Shielding to reduce EMI/RFI interference Twisted-Pair construction to ensure high-speed, error-free data transfer. Light and easy to carry. 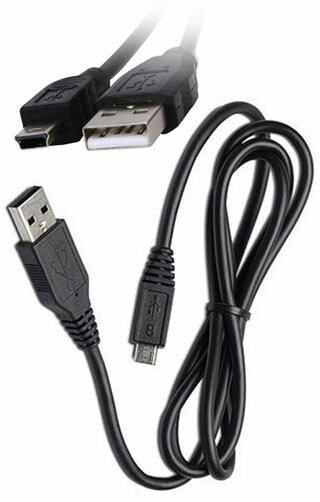 Ideal replacement or spare item for many devices requiring USB 2.0 to USB mini B connectivity. Prices and product specifications are subject to change without prior notice. The photographic product images on this web site may not exactly reflect the product you receive. Design revisions, updates, improvements and colour variations may exis E & OE.